I live out in rural North Carolina and the closest Laundromat was 30 miles one way. I had an infant and lots of clothes to wash. When I found out about rent to own, it saved me tons on gas and much more time especially quality time with my family. Since then, RTO has been my way to make my house a home and for my children to be proud where they live. Thank you RTO. In tough economic times, rent to own can be a viable means for millions of American consumers to acquire appliances, furniture, electronics and computers, according to an article on MSNBC. Especially at a time when consumer credit is scarce and when existing credit lines are being cut, the rent to own transaction can be especially useful to the credit-challenged because it never incurs debt or requires a credit check. Additionally, the customer is never obligated to make the next payment and can return the product at any time for any reason. However, the transaction may not be right for everyone and customers need to use the option to their best financial advantage. Listed below are some rent to own tips for consumers. The rent to own industry is very competitive and will bend over backwards to attain your business, so use this fact to your advantage. Use the 90-days-same-as-cash option, if possible. If you make the payments according to contract, in 90 days you’ll have that home furnishing at an affordable price in the market that is significantly cheaper than paying over time with a credit card. If you cannot fulfill the three-month option, choose the rent to own plan that’s right for you. The final price will still be less when payments are fewer. Some Rent-To-Own companies offer 180-days-same-as-cash plans. The early-purchase option can reduce the total rent to own price by 50 percent of remaining payments. Choose the least number of payments over time to save considerable money. 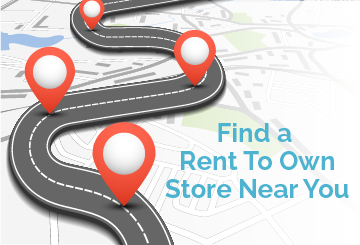 rent to own stores offer the flexibility of choosing your own payment plan. Make sure the rent to own company offers a payment-reinstatement option. If you return a product for any reason then at a later date you can reinstate your previous payment history toward final ownership of the product. Most state rent to own laws mandate a payment-reinstatement option and some stores offer a “lifetime payment reinstatement” option. This is a generic blog entry…. It’s showing here because it’s the oldest (if not only) blog post, and if this is the Home page, then the theme in use doesn’t have a separate Home layout.